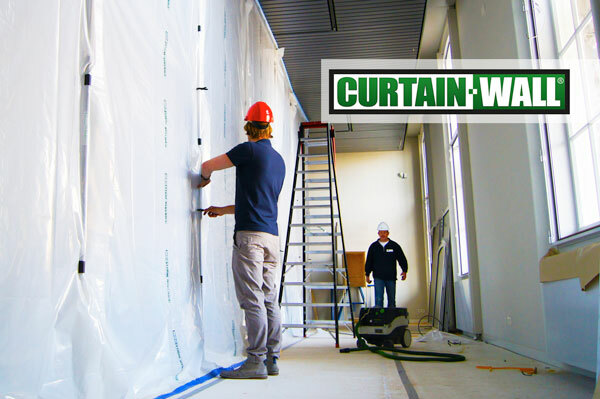 Curtain-Wall dust barriers are the best solution for dividing a room while work is taking place. This reusable partition excludes dust, dirt and drafts during refurbishments, renovations and maintenance work. Dust from the zone where the work is taking place is excluded from the rest of the building. While one side is being refurbished, daily activities can continue on the other side. Curtain-Wall conforms to the regulations governing fine particulates and complies with the fire regulations in EN 13501-1 and NFPA-701. The system comes with fire-retardant foil as standard. The Curtain-Wall system is a modular structure. All components are easy to install. That makes this partition ideal for both large projects and small jobs. Move the mouse over the hotspots for an explanation. Thanks to its attractive appearance, the Curtain-Wall system is ideal for use where renovation work and refurbishments need to take place out of sight, such as in hotels, offices, hospitals, shops and public buildings. The standard height of all Curtain-Wall kits is 4 metres. 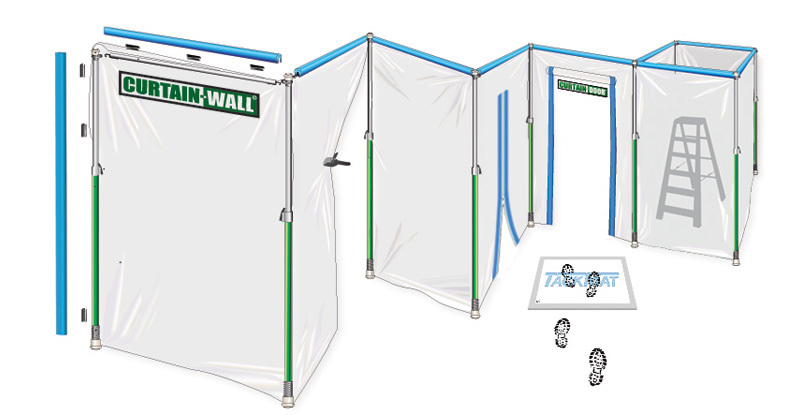 Using the expansion set, you can protect yourself up to a height of 5.5 metres! You can find out about the many advantages of Curtain-Wall on this website. You’ll see professionals at work with Curtain-Wall during renovations, refurbishments and maintenance. 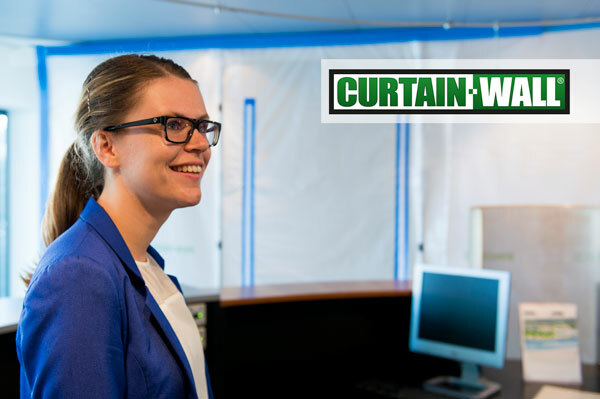 Curtain-Wall is the ideal dust barrier for all situations.